Crystal clear detail. Its 5.7" Quad HD Super AMOLED display. Great shots anywhere, every time. 16MP rear-facing camera. More fun in every frame. 5MP front-facing, wide-angle camera. 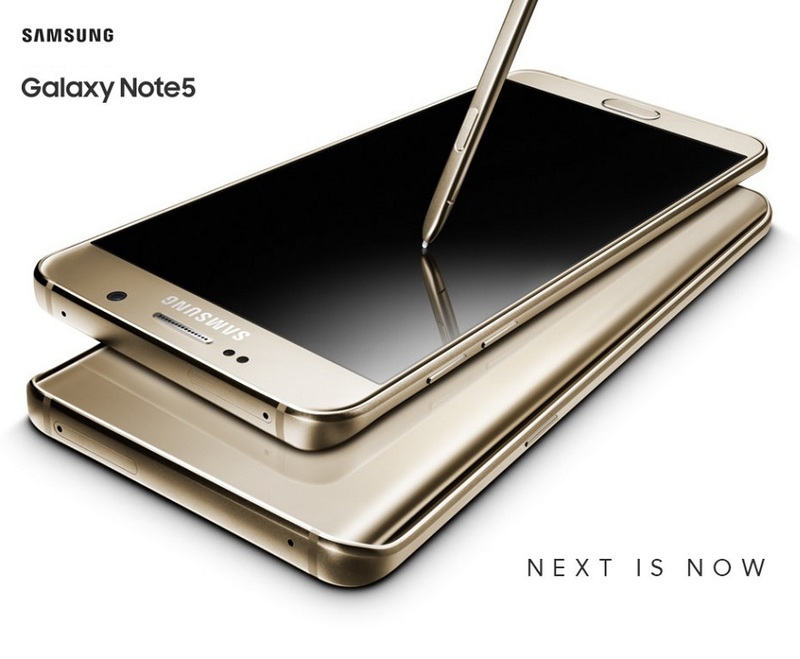 It’s what makes Galaxy Note5 click. And it’s even more like an actual pen, one that writes just as well. But achieves a lot more, making life that much easier. You’ll never want to put it down. When you’re using S Pen as much as this, battery life should be the last thing on your mind. We took care of that in every way possible from longer battery life to fast charging to more ways to charge. The next best thing to live music is to have it handy on your Galaxy Note5. It's also awesome to shoot your own professional-grade videos as well as broadcast them live straight from Galaxy Note5. At dawn, with friends, at home, on holiday. You shouldn’t worry about the lack of light or missing the moment. Snap away. Because you can when it’s the Galaxy Note5 camera.